Well well well, what do we have here? 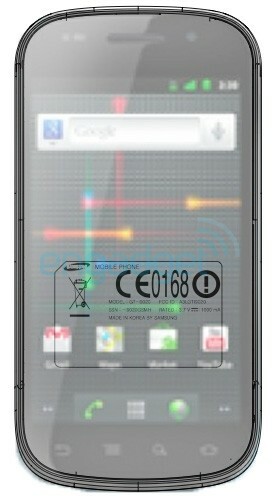 Could it be the famed and elusive Nexus Two, otherwise know as the Nexus S, or the Samsung GT-I9020. 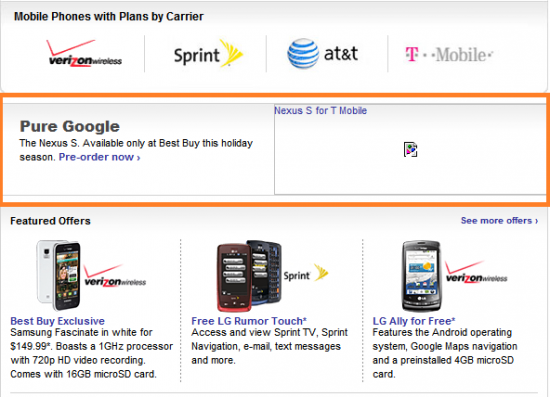 According to everyone in tech game today and leaked page from Best Buy Mobile, the new Nexus S is very real. In the same day we had leaked photos uncovered by non other than Engadget, and then we had a online sales flier (now removed) from Best Buy Mobile appear with a Nexus S phone that looks identical to pictures uncovered earlier. To top it off AndroidPolice got their hands on a internal Best Buy document that has a few words about a “Nexus S” phone display. Engadget’s detective work uncovered photos on Picassa (have since been removed) apparently taken by a Google employee. They also have found the FCC test and report documents. Those have a device on their that carries the name Samsung GT-I9020. As we all know the Samsung Galaxy S carries GT-I9000 tag, and its thought that the new Nexus S is based on the Galaxy S. Finally there is the WiFi Alliance certification papers that show the same Samsung GT-I9o2o device. What we do know is that it wil be running Gingerbread, it will have WiFi b/g/n, and T-Mobile friendly AWS 3G radio. Oh yeah and it;s codenamed the GT-I9020. This slew of photos and documents basically all leads to the eventual holiday release of the Nexus S. It will apparently be released onto T-Mobile newly revamped network. 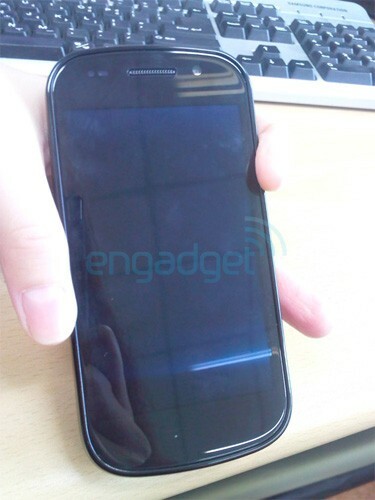 Stay Tuned for more Nexus S news. Below is a list of all of today’s sources and info on the Nexus S.